So easy... Working with House Waybill has never been so easy. You will be able to send, print, save House Waybill or create House Waybill template. A simple and effective interface Trough an advanced yet simple and clear interface, you will be able to easily enter House Waybill. EDIAir Web will check the correctness of the data (missing data, incorrect data type etc.) and also the new EU Customs regulations. Generate PDF The data you enter in the HWB form can be exported to the AWB printout with a click, modify according your need and then printed trough an high quality PDF file. Of course, you can save the PDF file on your local pc for future reference. 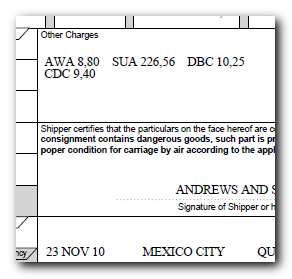 As for Air Waybill you can print the House Waybill on white paper or pre-printed paper and you can also print the Air Waybill back or the Air Waybill layout. FHL messages When you finished to enter the data send the corresponding FHL it’s just a question of clicking on the Send button. The system will check the data against the UE Customs regulations, creating the message and send it to the carrier email address. 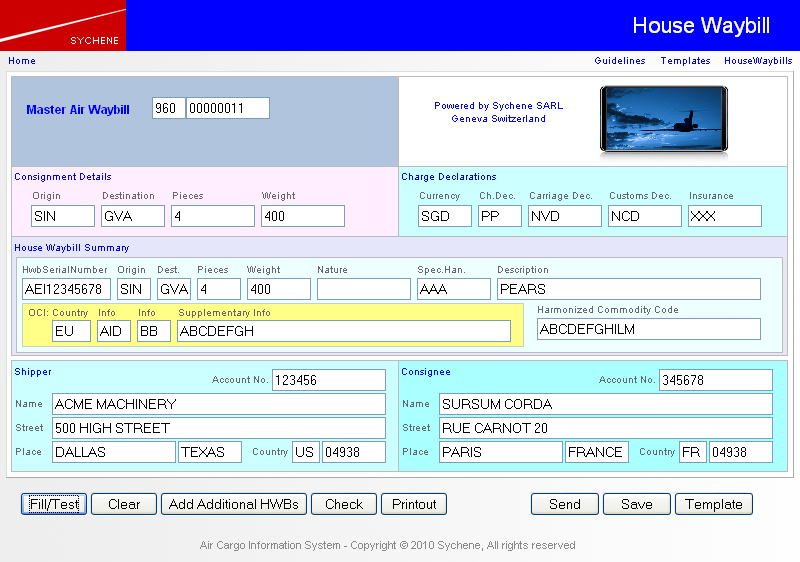 Multiple FHL If you need to send many FHL messages with same Master Air Waybill you can do it easily and quickly using the 'Add additional HWB'. Template Like for AWB, EDIAir Web offer you House Waybill template giving you the possibility to save and reuse frequently used waybill. 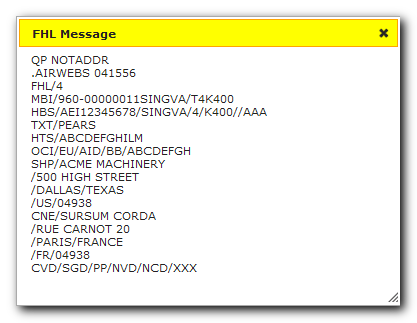 Saved messages archive EDIAir Web keep a copy of any message you send or print in a House Waybill list but you can also explicitly save a message. Saved message can be open again to edit them and/or send them again.